U.S. ownership of recreation vehicles (RVs) has reached record levels, reveals a newly released study by the University of Michigan���s Survey Research Center. Today nearly 8 million U.S. households own at least one RV���a 15 percent increase over the past four years and a stunning 58 percent rise since 1980, according to the study. One in 12 U.S. vehicle-owning households now own at least one RV. A leading force behind RV ownership���s upswing is the enormous baby boomer generation, supported by strong ownership gains among both younger and older buyers. In fact, high RV ownership rates now extend across a 40-year span from age 35 to 75, the study found. Those under age 35 posted the largest gains in RV ownership rates over the past four years���testimony to industry promotion efforts bringing in more young families, the study suggests. ���Programs to attract younger owners have had a very noticeable impact on RV ownership,��� remarked Dr. Richard Curtin, director, University of Michigan Survey Research Center, who conducted the study. Launched in 1997, the industrywide Go RVing advertising campaign targets adults age 30 to 64. �� More RVs are owned by 35-to-54 year olds than any other age group. 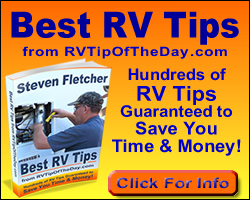 �� The typical RV owner is age 49, married, owns a home and has an annual household income of $68,000. Commissioned by Recreation Vehicle Industry Association (RVIA), the study updates similar research conducted every four years since 1980. Telephone interviews were conducted January-June 2005 with 3,000 consumers���randomly selected to be representative of all U.S. households. Demand for RVs will continue to grow during the next decade, due to favorable population trends and purchase intentions, the study found. By 2010, RVs will be owned by 8.5 million households���an 8 percent increase, outpacing overall U.S. household growth of 6 percent, Curtin estimates. The enormous baby boomer generation is reaching retirement age and is expected to continue dominating the RV market, the study forecasts. Baby boomers have begun entering the prime age range���55 to 64���with the highest ownership rates, according to the study. Today one-in-10 vehicle-owning households in that age group own at least one RV. In addition, purchase intentions are higher now compared to what the study found in 2001 and 1997. Two-thirds of current owners plan to purchase another RV. Among households that have never owned an RV, more than one in six expressed interest in buying one in the future. Among all U.S. households, nearly one quarter (23 percent) intend to purchase an RV in the future. The 65-page study, The RV Consumer in 2005, is priced at $35 for RVIA members and $75 for nonmembers. The study can be purchased online at RVIA���s publications store at www.rvia.org.